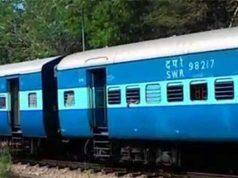 DELHI: Finance Minister Arun Jaitley announced a capital expenditure of Rs 1.48 lakh crore for the Indian Railways in his Budget 2018 speech. Most of this money will be spent on capacity expansion, since it is a priority for the national transporter, Jaitley said while presenting the Union Budget, reports PTI. 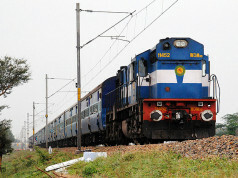 “Over Rs 1.48 lakh crore to be allocated for railways in next fiscal,” Jaitley said. 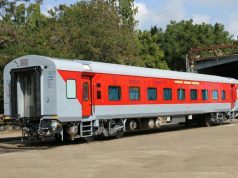 He proposed a target of doubling 18,000 km of lines and said gauge conversion is underway to eliminate capacity constraints. 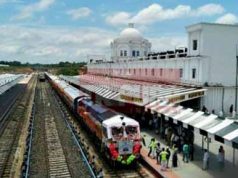 The minister said 36,000 km of rail track renewal has been targeted in the coming year while 4,267 unmanned railway crossings on broad gauge routes are to be eliminated in the next two years. 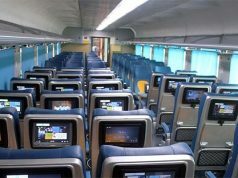 New world-class train sets are being manufactured, dedicated freight corridors are coming up and electrification being taken up as a priority task for which Indian Railways is expected to explore other avenues to raise funds, the finance minister said. Wifi and CCTVs will be progressively provided in all trains and there will be escalators at stations with 25,000- plus footfall. The minister also pointed out that 600 stations have been earmarked for modernisation by the railways. 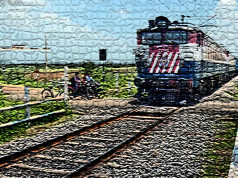 The focus will also be on a suburban rail network in Mumbai and Bangalore.